Still trying to figure out what is "conditioning" about this conditioner. At first I thought maybe I was not using enough so I doubled the amount I initially used. Makes my fine, thinning hair so flat, dry, brittle...no volume at the roots whatsoever and my ends look like straw. Of course since there are no returns I'm stuck with this expensive product. Chat representative suggested trying the repair line but I can't afford to just ditch what I already have! Going to stick with the serum and mask for a bit longer and see if the thinning stops but the shampoo and conditioner are a waste. This conditioner really makes your hair grow fast! I noticed a difference as I used this conditioner and after I finished it. I also love the smell! Grow Gorgeous really needs to make this scent an actual perfume because it’s one of the best scents I’ve ever come across! 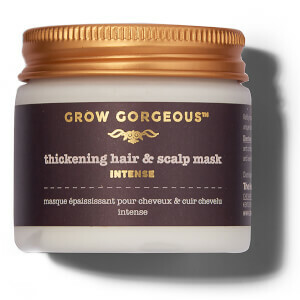 Your hair will also feel very nourished and look really good without frizz with this conditioner! I managed to deal with the smell, but my hair is breaking off and now I have a whole short patch of it along the front of my head, ironically where I was hoping it would encourage growth. Extremely disappointing. i used this in conjunction with the shampoo as well, and it’s been a disaster. Finally found a hair product that increases the volume of my hair, I had to consistently blow dry my hair up-side-down to get this much lift. It smells amazing, designer perfume amazing, and my skin is not sensitive to it, unlike other strong smelling products. I've always had fine hair that I tried to reinvent several times growing up. After using Grow Gorgeous Hyaluronic Shampoo & Conditioner I can notice denser areas of hair where it used to be scarce and my scalp was more noticeable, especially in the sun; Now I can enjoy going out to the beach without worrying the salt water will damage my hair too much. This product actually does what it says it will do! I'm amazed at how thick my hair looks. Love this stuff. I've tried various products since my transplant and anti-rejection drug associated hair problems with varying results, but this product really does seem to have made a much more noticeable difference! I love this conditioner. 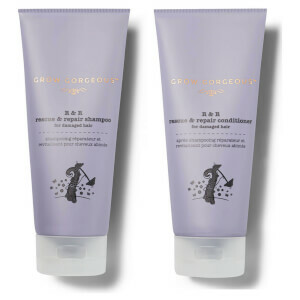 It smooths out my over dyed thin hair without weighing it down. The smell is so delicious. I wish you'd make shower gel in the exact smell!!! I bought this, along with the Grow Gorgeous Density Shampoo Intense and couldn't be happier with my new haircare routine. 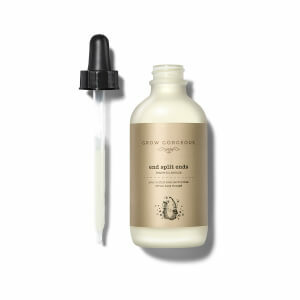 As a Grow Gorgeous convert, I have already been loving the End Split Ends serum, and most recently their new strengthening oil -but the shampoo and this conditioner afterward have only added to my love for this brand. After just one wash my hair looks so much healthier and glossier than before!! Recommend! This is one of the best conditioners I have ever used. I use both the back into the roots treatment and the hair density shampoo before I use the conditioner and my hair is silky smooth when I get out of the shower. I have fine hair that tangles really easy and I really work in the root treatment before I shower and then I also work in the shampoo after that which leaves my strands feeling much stronger than they were (seriously my hair strands were very prone to breakage before but now you have to really pull on them to break them). I just finger comb the conditioner through my hair, leave on for a minute and rinse. I do use a tangle teaser brush but really it has been rendered obsolete because all of my snarls are gone. My hair is color treated (I am a dark blonde naturally but I put light blonde highlights in). There is no frizz, my color has not been affected, and the volume of my hair has actually improved despite the thickness of my hair improving (I went from wrapping my ponytail holder around 4-5 times to 3 times max in one month). I get a lot of compliments on my hair now when I go out. Love these products. They smell wonderful and they show results quickly.